We recently listed a home for sale in a very popular neighborhood at the same time as a nearby home was listed with another company. I am very confident the other seller will not get top dollar for his home, and it's his own (dang) fault. It just blows my mind how thoughtlessly people go about selling a home and then buying the next one. For example, people will spend hours doing research before buying a television that costs less than $2,000, yet they will hire the first agent with whom they speak before committing to spend hundreds of thousands of dollars on a home (and thousands of dollars on fees to the agent for selling their existing home). Why is a consumer of relatively cheap electronics more prepared than the typical home seller? In my opinion (based upon 27 years of seeing many home sellers get "mugged" by their agent), it's because they make one or more of the following mistakes. Take these tips to heart and you should be able to sell your home for top dollar and within the time frame that best fits your family's move schedule. Do No Research Before Listing A Home For Sale - Frankly, the next four mistakes would not be major issues were this first mistake avoided. If you are going to be selling a home, please understand that 94% of the potential buyers for your home are online, so you need to conduct your research online. It is not enough to have a friend tell you they liked working with Agent "X", instead, go out and see what people are saying about that agent. What is the agent's profile like on Google (Google works hard to remove bogus reviews that are created by the agents themselves). How about Facebook? Zillow? These 3 sites are the best place to find real and accurate real estate agent reviews. Hire A Rookie To Be Their Listing Agent - As is the case with the listing mentioned in our open paragraph, rookie agents just aren't qualified to sell your home for top dollar. They do not have the resources, nor do they know what to do. 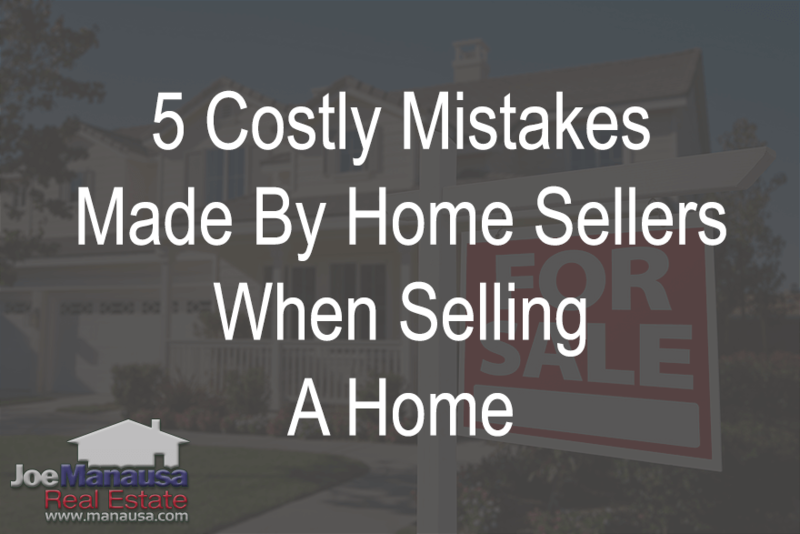 This mistake is made by sellers who think they need to hire an agent to sell their home. In my opinion, you don't need an agent to sell your home, just put a sign in the yard. But if you want top dollar, you need an agent with a marketing plan that attracts multiple buyers to your home, and a rookie just isn't going to be able to pull that off. 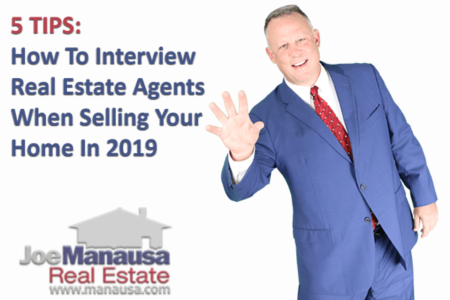 Additionally, when you finally get an offer through your rookie agent, you'll then enter negotiations where it is HIGHLY LIKELY that your buyer has a more experienced agent. Why do home sellers do this to themselves? Do your research and make your selection based upon proven results, not because you have a personal relationship with somebody who happens to hold a real estate license. Do Not Demand Professional Photography - So we listed a home for sale and brought in a professional photographer (somebody who makes a living taking pictures as a full-time job) who helped stage our home for optimal marketing imagery. The competing listing across the street apparently was fine with the rookie agent taking pictures with her smart phone. Care to guess which home looks better online? Which one do you think appears to be worth the extra money the buyer is going to have to pay (because many other buyers will be bidding on it too). Again, with 94% of buyers looking at homes online before choosing which ones to go see, put your best foot forward with quality photography. Sure, it costs more money (for your listing agent) and means he/she won't make as much money on the sale, but maybe that's why certain listing agents get rave reviews online and why most others do not get mentioned at all. Make The Showing Process Complicated - Never lose sight of the fact that when you choose to sell a home, you are entering a competitive market. Whether it's a buyer's market or a seller's market, a homeowner will fare better in the competition if the home can attract multiple buyers. One easy way to chase away prospective buyers is to make them jump through hoops to see your home. Making your home available at all reasonable times is an inconvenience (and why you should endeavor to sell your home fast), but it a very profitable inconvenience for the home sellers that do it correctly. Fail To Hold Their Agent Accountable- This is a big one. When we speak with homeowners who have failed to sell their home with a previous agent, we typically hear the same thing. They tell us the agent listed the home, put a sign in the yard, a lock box on the door, and then was never heard from again. They wonder what their agent was doing. I just don't understand how people tolerate this poor level of service. If you do not hear from your listing agent on a weekly basis, pick up the phone and call their boss. Tell them you will terminate the agreement due to poor service if they do not bring you up to speed on what is being done to sell your home. It is likely you've signed a listing agreement committing to spending tens of thousands of dollars with that broker, demand your money's worth! I hope you take heed of these mistakes that home sellers are making every day and choose to be a smart home seller. Take the time to understand why a fast sale will most often net you more money than a slow, drawn out marketing campaign. In order to make buyers compete for your home, your marketing efforts must draw scores of buyers to your home. At Joe Manausa Real Estate, we spend more money each month marketing our listings than most agents earn in a year! This massive marketing effort often results in us selling homes very quickly and ABOVE list price. 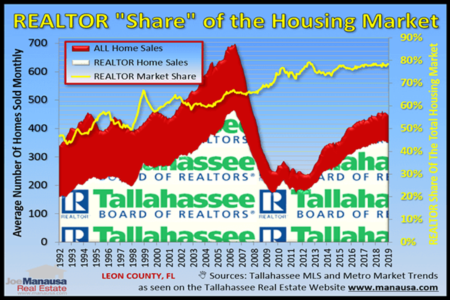 If you would like to know how we would massively market your home (different than all other agents in the Tallahassee real estate market), then simply drop me a note and we'll be in touch right away to set a time to show you how we get it done.